Engage attendees that come to CPhI North America looking for practical solutions, innovative ideas, and remunerative business relationships. 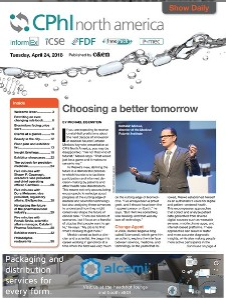 Advertise in the official show publication, the CPhI North America Show Daily, and place your messaging alongside relevant, widely read content onsite to over 6,500+ attendees. and prospects on your latest developments, products and services. Get ideas and strategies for the CPhI North America Meeting & Expo. Fill out the form to get in touch and download rates and specifications! Complete the form below to get in touch about CPhI North America 2019.